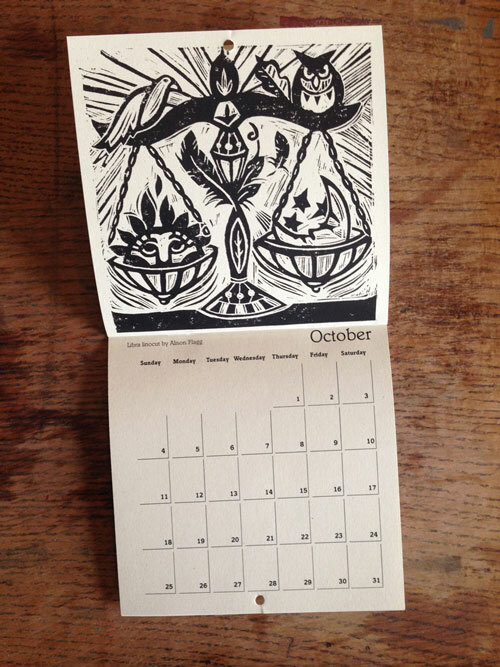 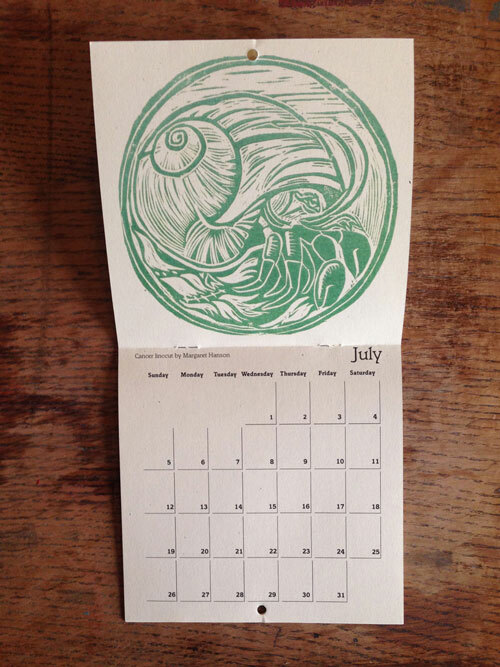 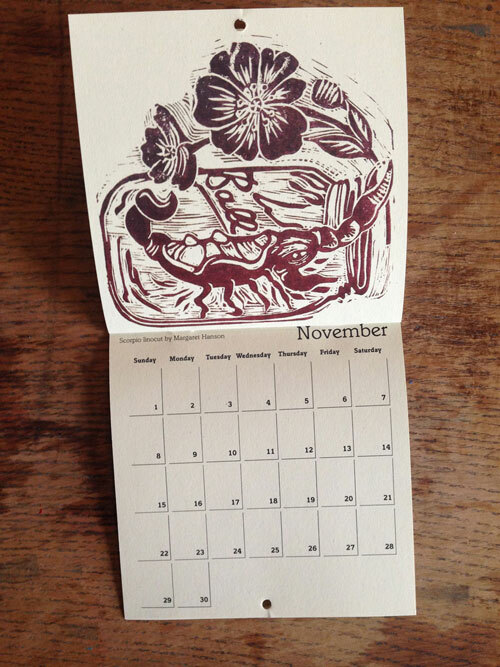 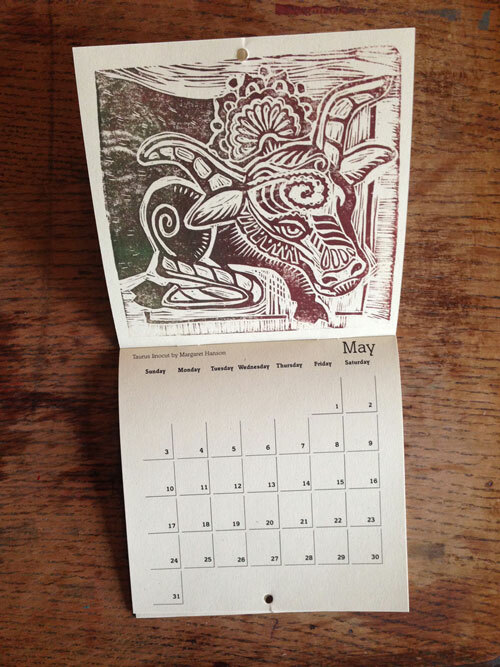 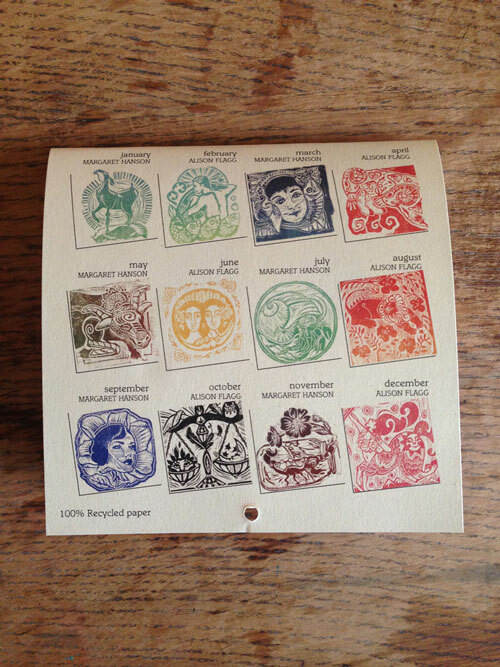 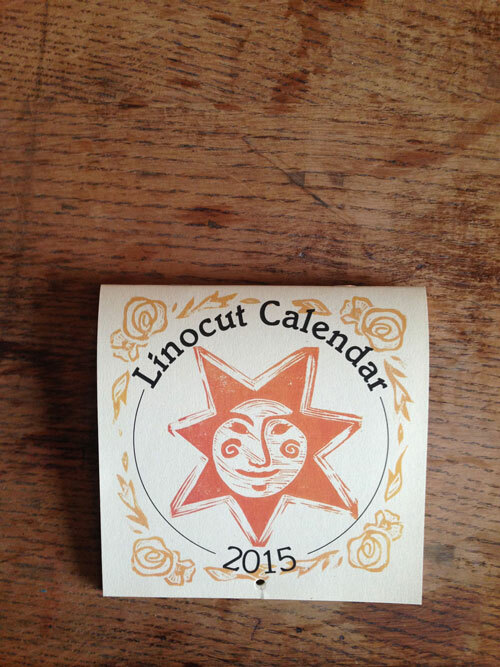 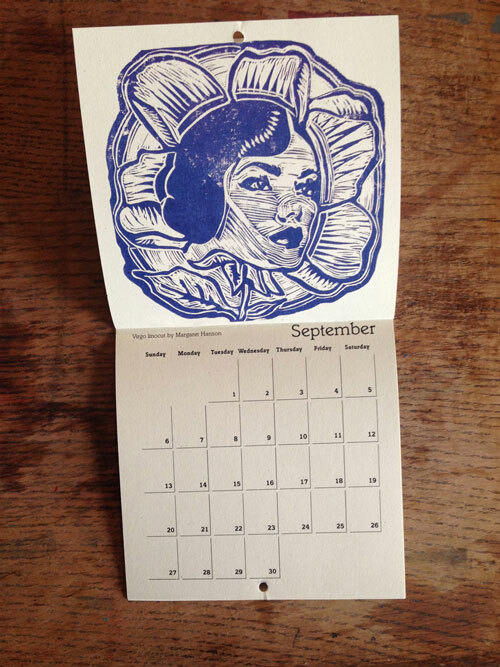 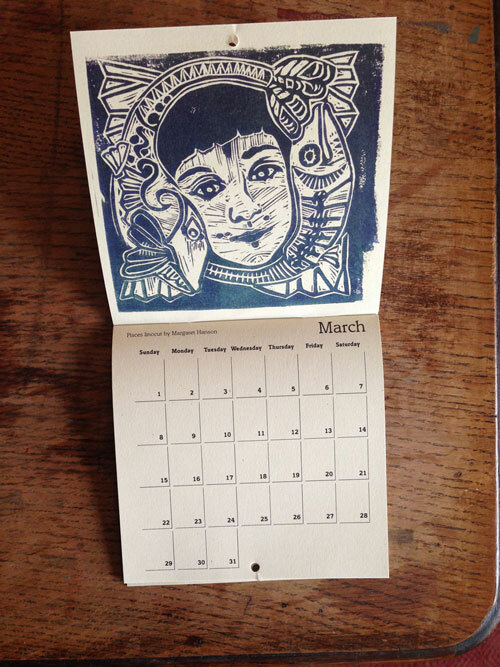 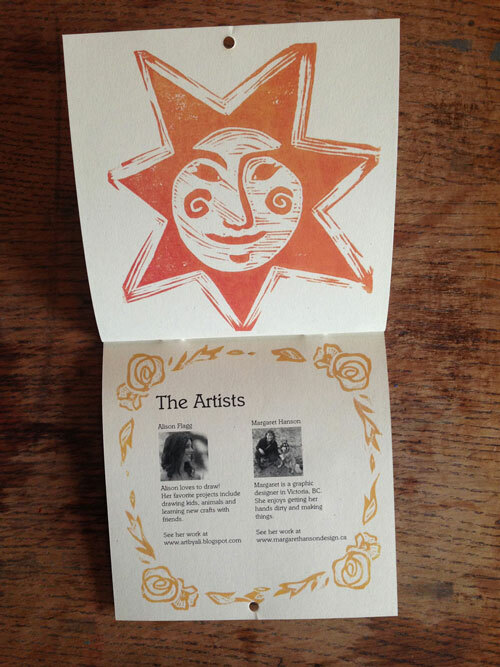 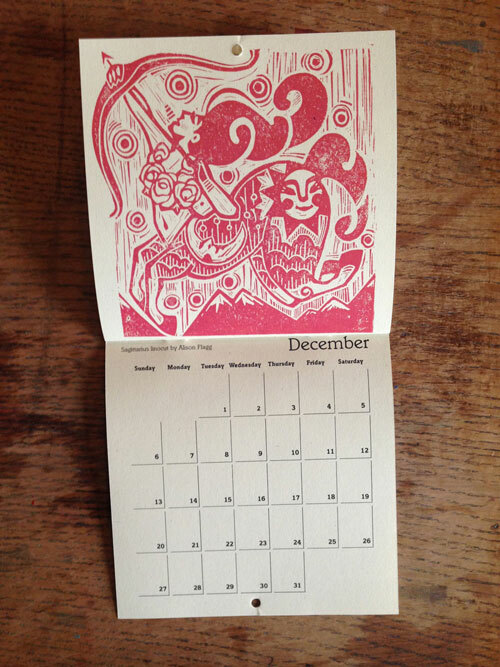 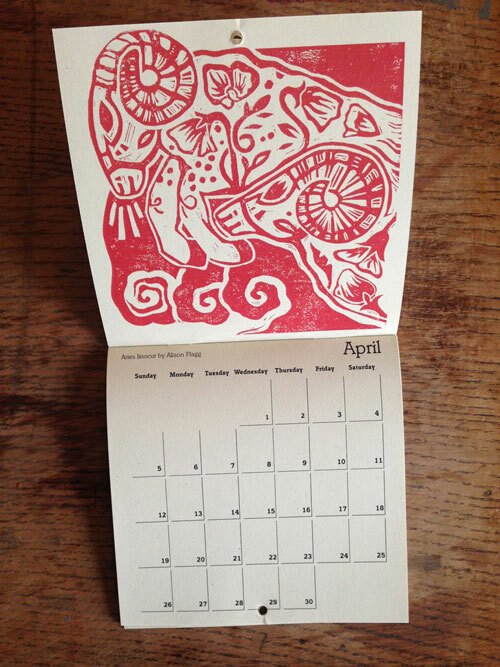 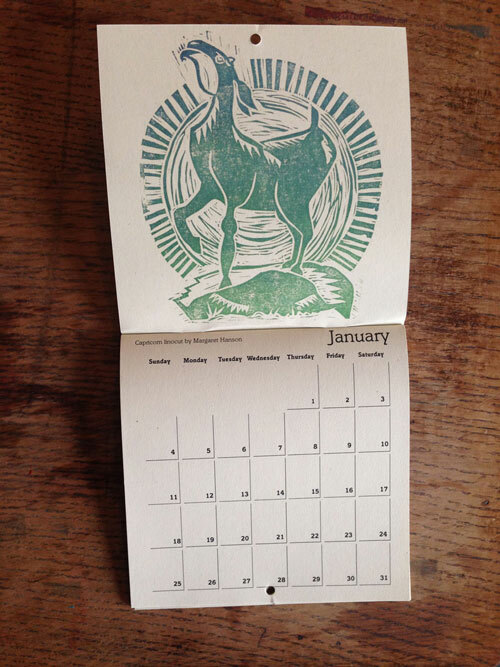 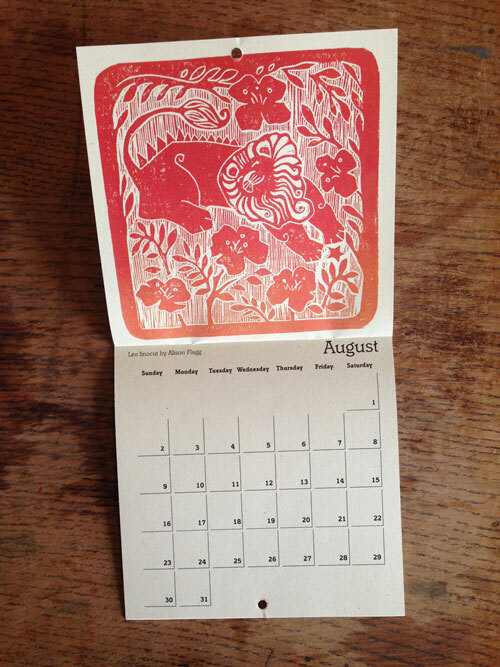 This year’s linocut illustration calendar, a collaboration project between myself and a fellow illustrator friend. 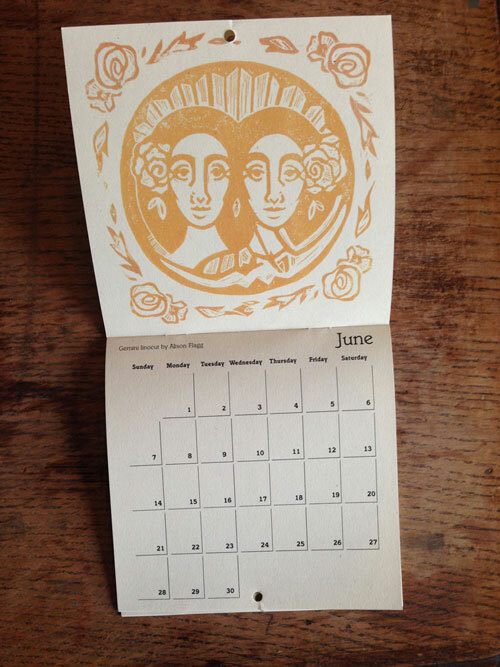 We alternated months, and each did 6 months of the 12. 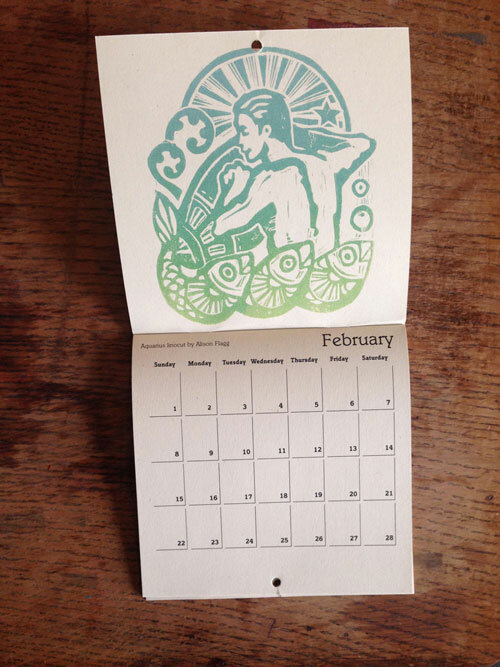 I took care of the layout and print production of the piece.